It involves Roberto Firmino, Nathaniel Clyne and James Milner using various Nivea products in the changing rooms. 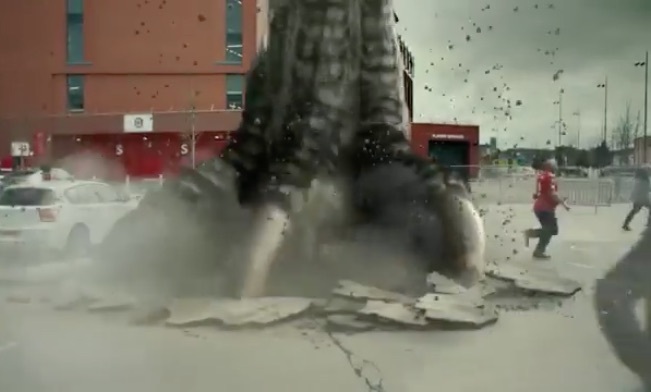 This all seems pretty standard, until Milly tries to get into his car after a game and is squashed by a Godzilla-type creature, only to be comforted by Steven Gerrard (when we’re pretty sure the impact would’ve killed our utility left-back)! It’s absolutely terrible, but in one of those ‘brilliant’ ways… JUST!